*The cost per person will consist of the hotel accommodation for 4 nights (approximately $65 on a single occupancy basis, and $80 for a double room), your meals (except for breakfast) and incidentals. The cost of excursions (vehicle and guide/driver) is estimated at $60 per person per day. It does not include the airfare , nor any entrance fees or to any performances, taxi fare from/to airport, expenses of personal nature, visa fee, airport tax, laundry or any beverages. A deposit may be required by the hotel. This will be advised to you once the information is available. 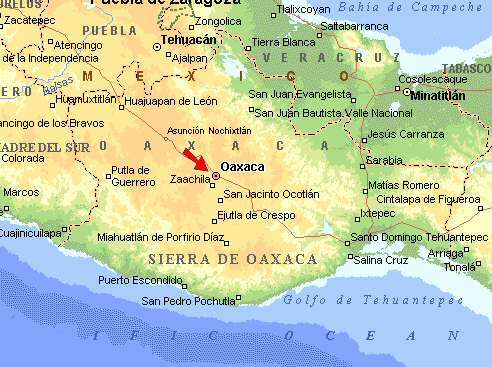 Tourist visas (US passports) can be obtained at the Oaxaca airport on arrival. We shall be staying at La Reja, a small hotel in the historical district of Oaxaca, some 5 blocks from the Zocalo, the centre of the town. All rooms have private bathrooms. We assume no responsibility for accidents or injury to individuals participating in the Oaxaca: Among the Zapotecs: Street Photography. You will be requested to read, accept and sign an agreement which releases us from any responsibility of liability in the event of any of the situations mentioned below. We also assume no responsibility if a traveler is refused entry into a country for any reason. It is the traveler's sole responsibility to ensure all travel documents are valid and effective. A passport, valid for six months after the intended date of return is required in many cases for travel overseas. Some countries may require visas for US or non-US citizens. Please check with the corresponding consulates prior to leaving. This is the traveler's responsibility. We cannot assume any liability whatsoever for injury, sickness, damage, death, loss, accident or delay to person or property due to an act of negligence of or default of any travel agent, hotel, carrier, restaurant, company, airline, or person rendering any of the services included in Oaxaca: Among the Zapotecs Street Photography, or by act of God, act of war or terrorism. Further, no responsibilities are accepted for any damage, changes or delays due to sickness, pilferage, labor disputes, machinery breakdown, quarantine, government restraints, weather or other causes beyond my personal control. No responsibility is accepted for any additional expense, omissions and schedule changes, forced stopovers, rerouting or acts of any governments or authority. We reserve the right to decline or accept any person as a member of this photo expedition or to cancel or alter its itinerary without notice. It is also the responsibility of the traveler to keep informed on deposit and payment date requirements. It is highly recommended that all individuals obtain adequate travel insurance. The "Among the Zapotecs Street Photography" is set in Mexico's vibrant city of Oaxaca with photographer Tewfic El-Sawy where you'll discover the wealth of the region's culture. 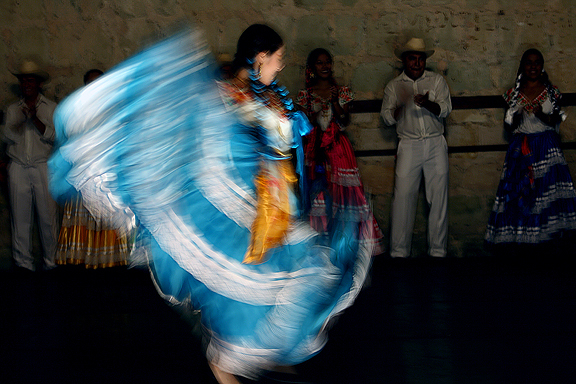 Oaxaca, with its colorful architecture, cobblestone streets and lively plazas, lends itself to numerous story ideas. Our stay will be in a small hotel in the Centro Historico of Oaxaca, a few blocks from the Z�calo, one of the prettiest main plazas in Mexico. This workshop-expeditions may include excursions to the traditional Zapotec villages surrounding Oaxaca, including Ocotlan and Teotitlan del Valle. The objective is to assist 4-5 photographers, with an interest in travel documentary photography, to refine their street photography skills, to create multimedia, and to document Oaxaca's rich humanistic traditions of its streets. Tewfic is a freelance photographer who specializes in documenting endangered cultures and traditional life ways of Asia, Latin America and Africa. His images, articles and photo features have been published in various magazines and travel publications. He has given photo-lectures in museums and taught travel photography in various settings. He also leads by invitation-only photography tours to India, the Himalayan Kingdoms of Nepal, Bhutan and Sikkim, Indonesia as well as Indochina. Arrive in Oaxaca and check into to our charming small hotel located 5 blocks from the Z�calo, the city's colorful and historic main plaza. Depending on time of our flights arrivals, we will be photographing the streets of the Centro Historico. until dinner. After an early breakfast, we will have a morning photographic walk at first light around Oaxaca. Our walk about the central square of Oaxaca will lead us to the Benito Juarez Market, a maze of small stalls selling such items as produce, meat, jewelry, mescal, cheese, clothing, leather goods, carvings, vegetables, fruit, fresh juice. The area around the market offers traditional cantinas, a possible topic for our photography. In the evening, we can have dinner with Guelaguetza dance show. Ocotl�n hosts a huge Friday market. Beneath a riot of colored awnings, plenty of old-fashioned merchandise is sold by Zapotecs. In the afternoon, we drive to the weavers� commune in Teotitl�n del Valle. Following breakfast at the hotel, we will be walking in the streets of Oaxaca for most of the day. We will concentrate on the Los Arquitos neighborhood, including the Pochote Market.